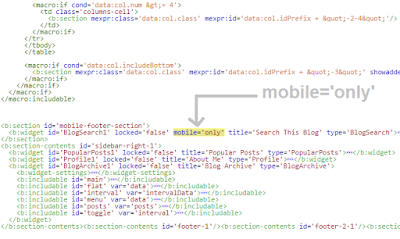 As predicted by Google that from now people will read blogs and sites more from phones rather than from desktop that's why everyone should make their mobile site and maintain it to get maximum traffic not from only desktop but also from mobile. 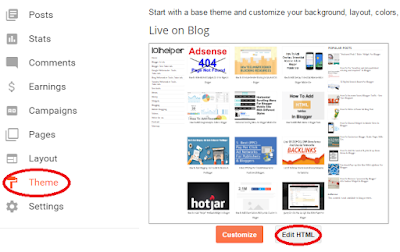 It is also good to get mobile traffic because it can increase your earnings from both Adsense and Appnext. Specially mobile traffic is best for Appnext. 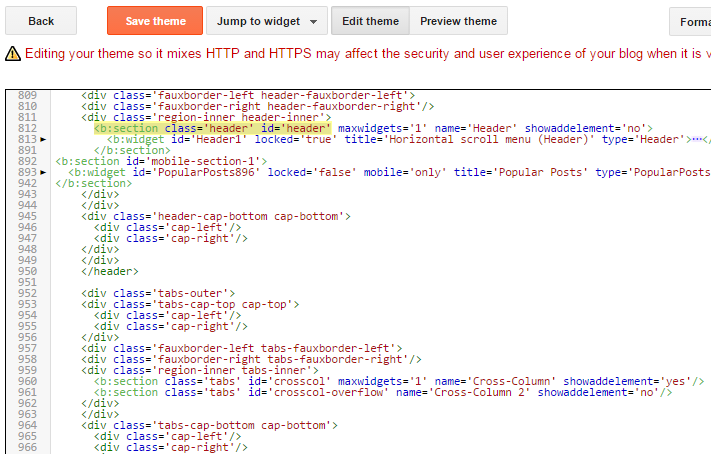 Making mobile site is not easy in a platform like blogger because everyone is not able to do it as its not easy to code and also most methods don't work in blogger. 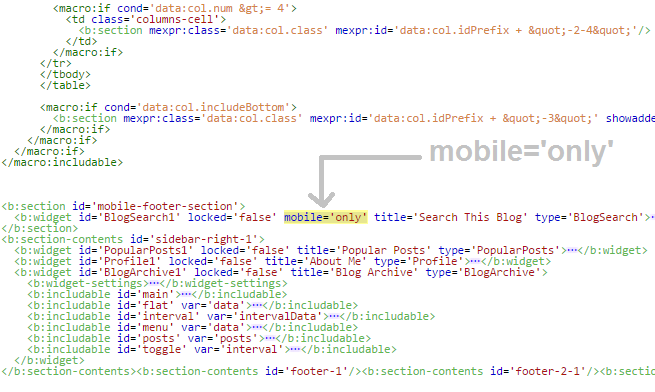 So I frequently write about making mobile site for blogger blogs to make it easier for other bloggers to make their own mobile site. 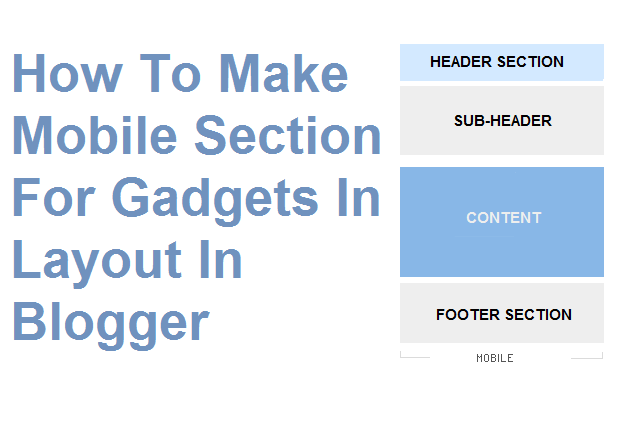 So in this post I am going to teach you how to make sections for mobile gadgets in blogger layout. 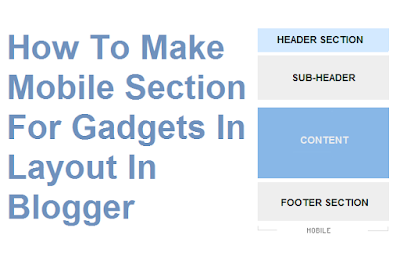 So follow below steps to make sections for your mobile gadgets. Step 1: Go to blogger > login to your account and navigate to Theme. 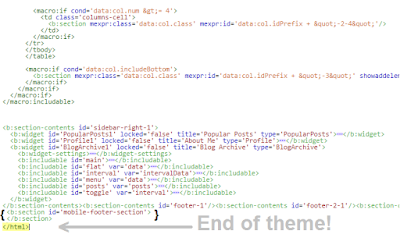 Step 2: Click on Edit Html to begin editing your blog theme to make sections for mobile gadgets. 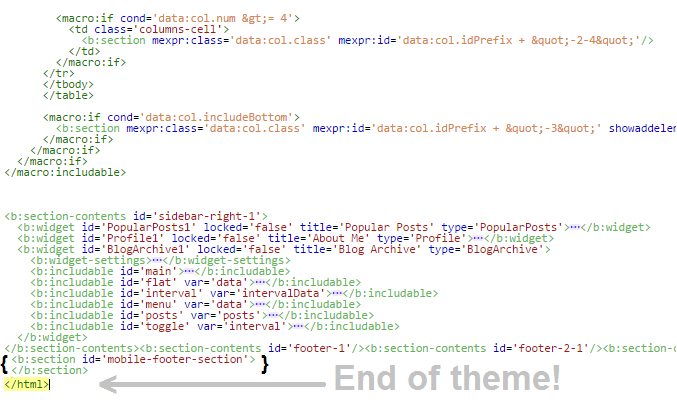 Step 4: Now just after above code paste below code and save your template. Step 5: Go to layout to see your mobile gadget section. 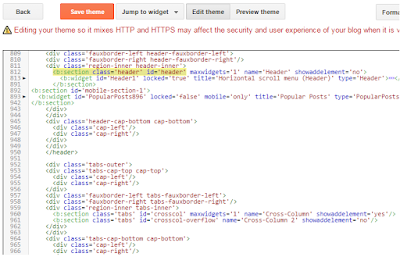 You will find your gadget section below header section in layout but if you want you can make another one in the footer by the above method, all you need to do is to paste below code above </html> in your template. Don't for get to give us feedback about this post, if you have any questions ask me in comments. Share this post with other bloggers. Thanks for visiting 101Helper.